Known as one of the top names in the direct sales industry, Bernardo Chua has focused his efforts in the last decade on coffees, teas and other everyday products to introduce people around the globe to ganoderma. He has played a major role in two very successful companies in Gano Excel and currently, Organo Gold. Starting in the Philippines, Chua has played an integral role in bringing ganoderma to the lucrative North American market. “Bernie,” the name he affectionately goes by, grew up in the Philippines. Thanks to his Chinese heritage, he was aware of ganoderma early on in life. The genus of polypore mushrooms that can be found growing on logs wood around the world has long been highly regarded in China and other Asian countries for centuries. Bernardo Chua became one of the first to market the herb successfully with coffees and teas outside of the region. When setting up a business model, he saw the many benefits of working in direct sales. It was a way for him to quickly grow the business in the Philippines and spark the momentum in the industry to take the company global. Bernardo Chua stands by the fact that direct sales is the best way to go in his line of business. 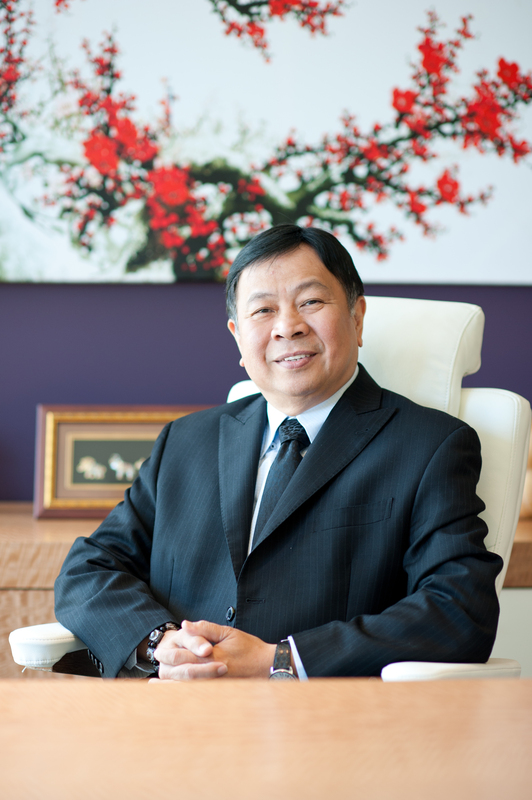 Bernardo Chua is one of the most successful businessmen in The Pacific Rim. During his career, Chua has been recognized with a few different awards. Most notably, he received the Dangal ng Bayan Award for Business and Industry from the Joint 22nd Annual People’s Choice and National Consumers Quality Awards in 2014. The National Shoppers Choice also recognized the company as the top direct selling company in the food supplements section. Chua has been honored on five different occasions with the “Direct Sales Company of the Year” award. With Organo Gold well established, Bernardo Chua continues to focus more of his efforts on refining his business as much as possible. He works closely with some of the best organic ganoderma producers in the world, which that allows him to provide quality without a steep price tag. He also funds research related to ganoderma, allowing Organo Gold to have a leg up on the competition when new breakthroughs or uses are discovered. In 2008, Bernardo Chua saw the need to create a company that could really help take ganoderma lucidum products to another level. After seeing the success ganoderma products had in Asian markets, Chua wanted to show the Western world what they could possibly be overlooking. He is the founder and current chief executive officer of the company. Within five years, Direct Selling News reported Organo Gold as the 55th largest direct selling company in the world. Bernardo Chua has spent a lot of time educating people about the many benefits this herb can provide. Education has always been a huge focus for Chua, as it provides that trust with Distributors and consumers that other companies might come up short on. Based in Canada, Organo Gold has over one million Distributors around the globe. Chua and the company continue to focus on ways to stay ahead of the competition, and that has been a big reason why the name has continued to grow. Chua believes that being based in Canada, a country known for having strict guidelines for products and businesses, gives customers added peace of mind. Any perceived risks are eliminated after seeing how tested the herb and all products are before distribution.